While it arguably might be true that “in space, no-one can hear you scream ice cream”, people do eat ice cream in space! 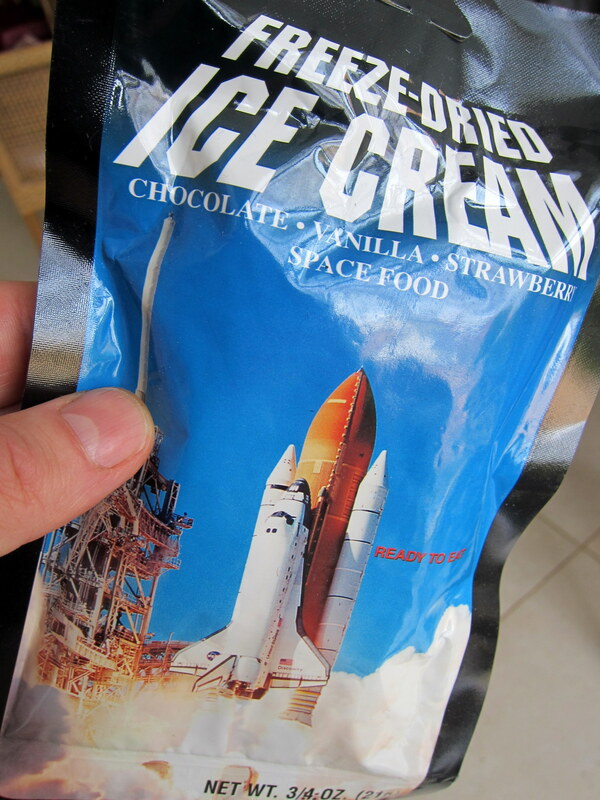 And we all know that astronauts enjoy those packs with freeze-dried ice cream, right? But the iconic “Astronaut ice cream” was actually only used once, in 1968. In preparation for the early manned space-missions, NASA had commissioned proposals for various freeze-dried snacks to bring into space and enrich the eating experience. 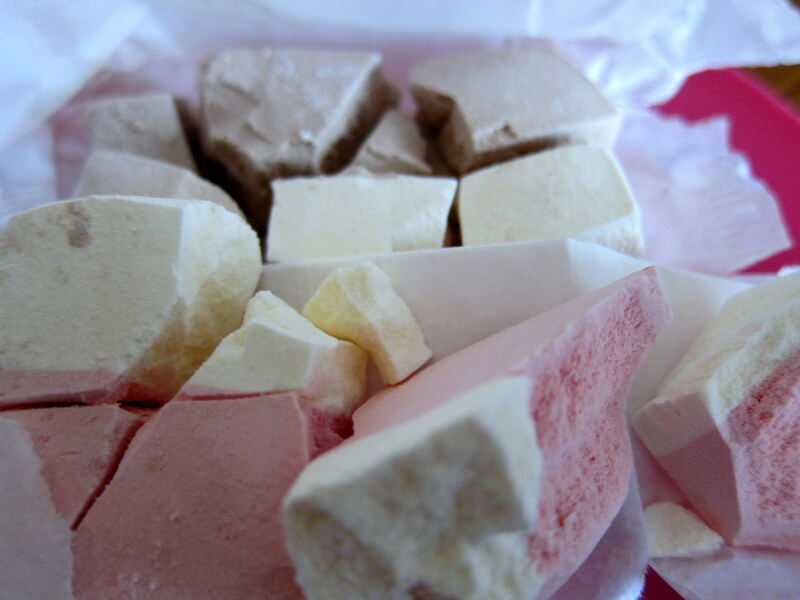 The Whirlpool Corporation came up with freeze-dried Neapolitan ice cream in cubes – the soon-to-be classic “Astronaout ice cream”, now forever linked to the concept of ice cream in space. 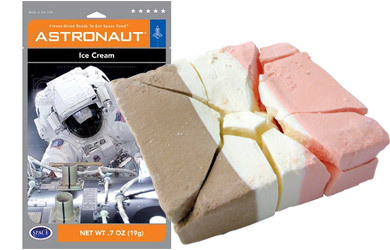 Freeze-dried Astronaut ice cream as we all know it. 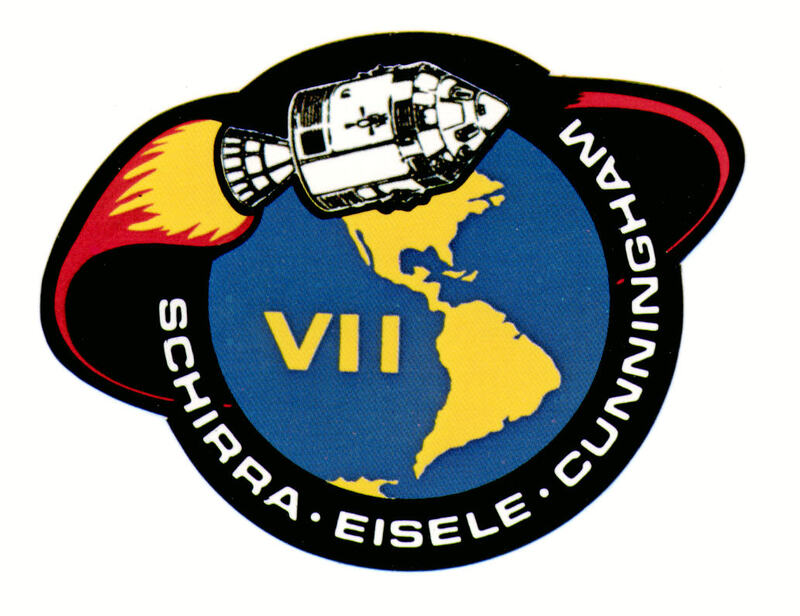 Ironically, it only made one real appearance in space, in 1968. But eating and drinking (and a lot of other things) can be quite messy up in space. The loss of gravity means that most things tend to start floating around. And this is apparently exactly what happened in 1968, when the crew of Apollo 7 opened their historic packages with freeze-dried ice cream in zero-gravity. 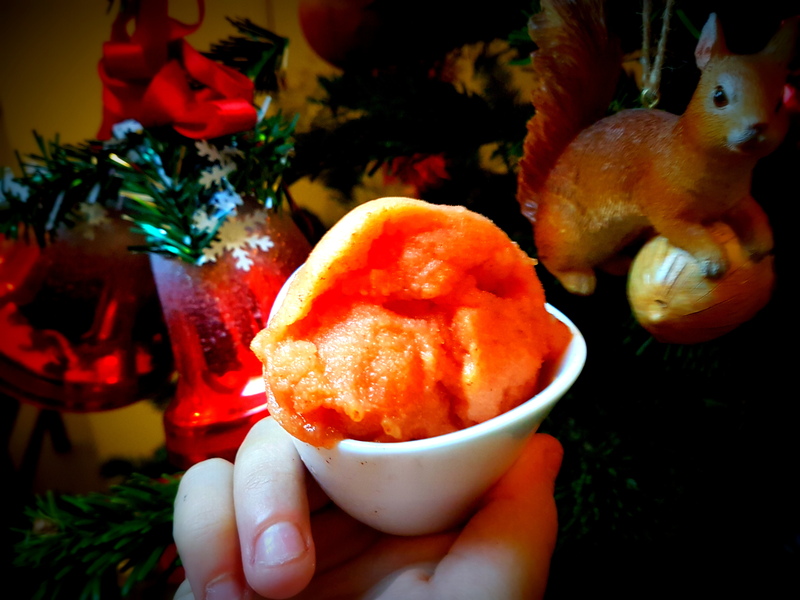 Not only did the freeze-dried ice cream crumble easily (and crumbles floating around was not only considered a nuisance but could even be dangerous, considering the risk of them ending up inside delicate capsule equipment and instruments). Worse still – most astronauts did not even care much for the taste! So, following that first appearance in space, freeze-dried ice cream has basically only been consumed back here on Mother Earth. What about the Russians? The early cosmonauts were no strangers to freeze-dried food either, but also got a lot of their foodstuff in what looked like toothpaste tubes. I have not been able to find anything indicating that the Soviet authorities ever included ice cream in any of those, though. A few years later, courageous space explorers began to enjoy ‘normal’ ice cream in space. In 1973, the first “normal ice cream” was enjoyed aboard the US space station Skylab. 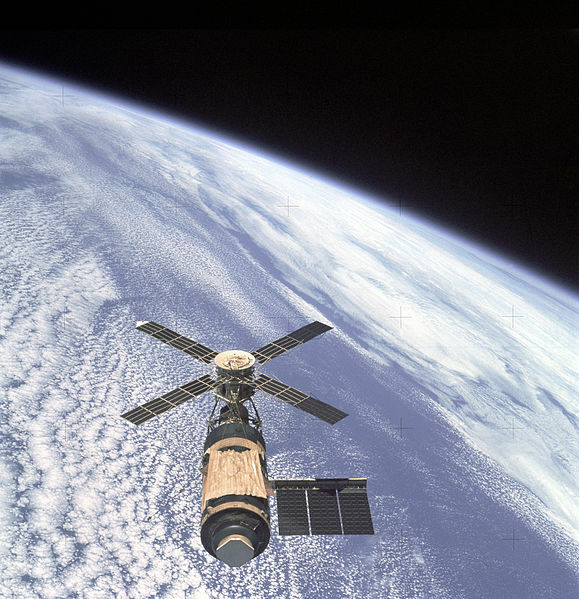 Skylab had been equipped with a freezer, and ice cream (when available) quickly turned out to be a favourite treat amongst astronauts. 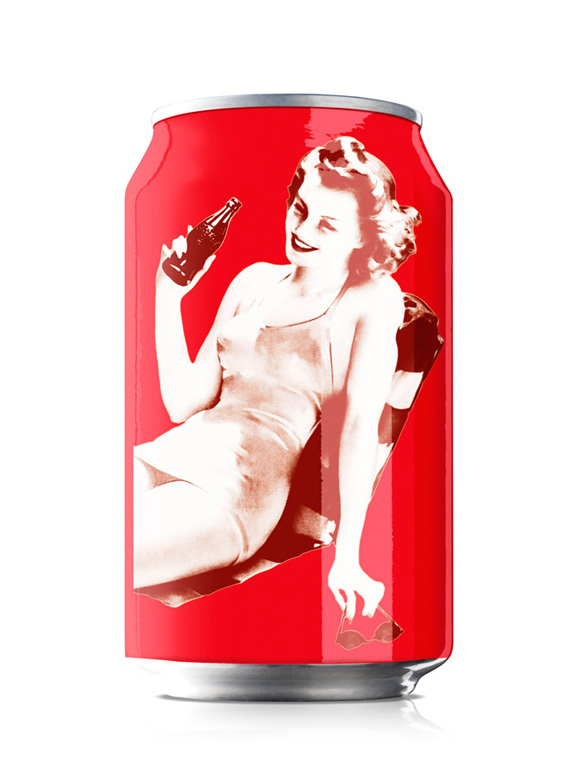 Can you guess which flavour? Nowadays, astronauts seem to have more choice when it comes to flavours, but fresh ice cream is still considered quite a special treat in space. In October 2012, Commander Sunita Williams of the International Space Station (ISS) even made a special point about how much the crew was looking forward to enjoying the ice cream that just had arrived by capsule (Blue Bell’s vanilla with swirled chocolate sauce, by the way). Pending the ice cream party to be held on-board the ice cream was safely stored in GLACIER, the space station’s laboratory cryogenic experiment refrigerator, designed to maintain temperatures between -160 and +4º Celsius (-301 and 39º F). Little risk for premature defrosting there, in other words. While its presence in space clearly has been vastly overstated, freeze-dried ice cream remains very popular to this day … on Earth. Science museums, in particular, seem fond of offering it in their gift shops. And there is, of course, something technologically alluring in freeze-drying ice cream. So, what is it really like? A trusty test panel of myself and the kids had a go at a package. Our verdict? 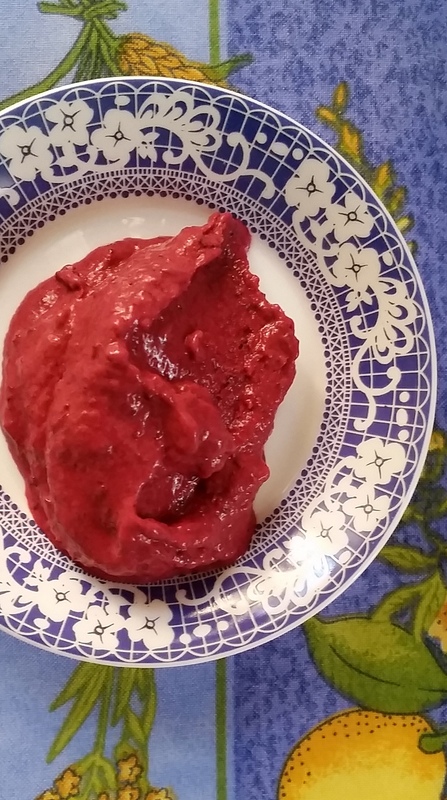 Well, imagine eating dry, dense nuggets with halvah or sand cake-consistency (i e, they hold together but you do not notice anything liquid ), flavoured with the kind of artificial flavouring well-known from many “mainstream industrial” ice creams. In other words, the flavours come from the laboratory, rather than from the garden, if you get my drift. The list of ingredients confirms the quite synthetic nature of the ice cream: Would you care for some freeze-dried “milkfat and nonfat milk, corn syrup, sugar, whey, cocoa (processed with alkali), stabilized and emulsified by mono and diglycerides, guar gum, cellulose gum and carrageenan, artificial flavor, red beet juice concentrate, Annatto color and Turmeric color”? 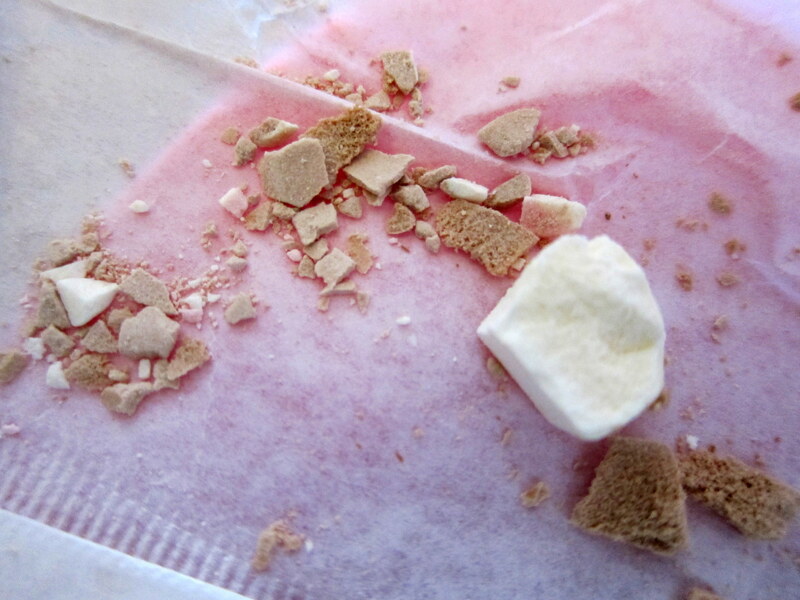 We could also verify that the freeze-dried ice cream indeed was very prone to crumbling, and I could vividly imagine irritated astronauts chasing all those little crumbs drifting around in weightlessness. In conclusion, good ice cream continues to be best enjoyed in a non-freeze-dried state. But if you want a whiff of the early space trips, do explore the never-melting Astronaut ice cream (and appreciate the joy of today’s astronauts who actually can enjoy real ice cream instead). Ps. 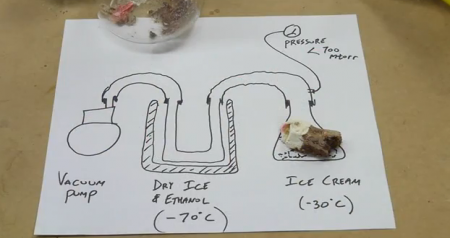 In case you would like to freeze-dry your own ice cream, why not seek practical inspiration from Ben Krasnow’s instructional “dry-freezing ice cream at home”- clip (which went viral at the time)? If you want to follow in his footsteps, or just enjoy the ingenuity, check it out here!